Water Heater Repair, Plant City, FL | A Step Above Plumbing Inc. Water Heater Repair, Plant City, FL | A Step Above Plumbing Inc.
We can provide reliable water heater repair at your home or business in Plant City, so you can get back to your daily routine. Your water heater is one of those important pieces of equipment that you certainly hate to do without. Not only does it supply hot water to your entire home, but it also makes your everyday activities more comfortable and convenient. So, when your water heater starts acting funny or doesn’t produce hot water at all, you may be looking for solutions to get it working again. 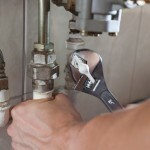 At A Step Above Plumbing Inc., we know that dealing with hot water repair can be inconvenient, but truthfully the best thing to do is call in our professionals, so we can address the problem right away. While there are some plumbing repairs you can do on your own, dealing with water heater repair isn’t necessarily one of them. Signs that you need water heater repair in Plant City, Florida include a funny smell coming from the tank, loud popping or cracking noises when the tank is in use, or water leaking from the tank. You should also be concerned if you find that your water heater stops producing enough hot water, or won’t heat any water at all. The good news is that our team at A Step Above Plumbing Inc. can provide reliable water heater repair at your home or business, so you can get back to your daily routine without any hassles. We’ll also give you honest advice if your water heater repair will cost more than a replacement. If you suspect you need water heater repair, or if you have any other plumbing concerns at your home or business, contact us at A Step Above Plumbing Inc. today.